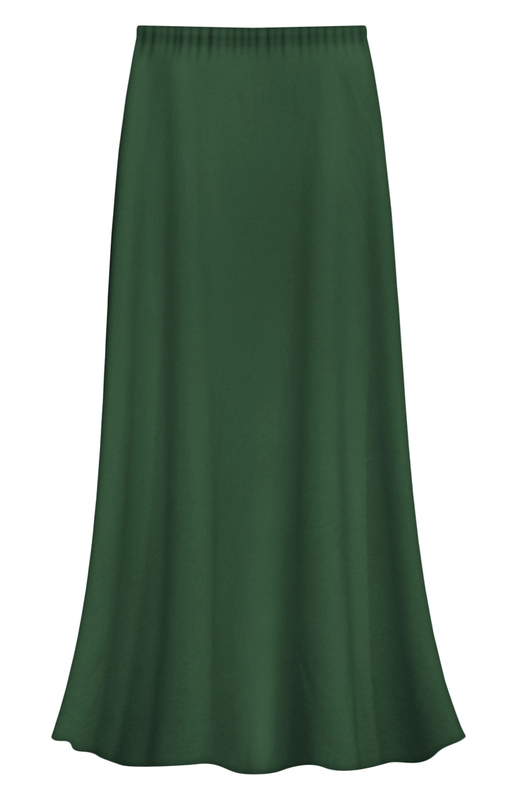 These are beautiful solid color slinky skirts with an elastic waist. They are made of a fabulous slinky fabric which is stretchy and very comfortable. It is a breeze to take care of! Throw it in the washer, dryer, and straight into a drawer or suitcase, take it out days or weeks later, and it's ready to wear! As with all the slinkies, they rarely wrinkle, are very stretchy, and hang great! To ensure a proper fit, please take your measurements & compare them to the size chart listed below. Measure around the largest part of your hips. For length, measure from the waist down.